Send eCards and donate the cost of greeting cards to Pancreatic Cancer Action! 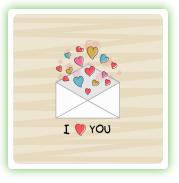 Choose an e-card image, write a personal message, and choose how much you would have spent on cards. Every time you shop online at supported retailers a commission is paid by the retailer and shared with us! Including when you book a holiday or order your groceries! A platform which allows you to remember your loved one and is a place to collect donations and sponsorship. Have you just returned from a holiday abroad or do you have a drawer full of foreign currency from previous trips that are sitting there doing nothing? Why not donate your foreign currency to Pancreatic Cancer Action? Send your unwanted jewellery and stamps to Recycle for Good Causes and make money for Pancreatic Cancer Action! By clicking on this specific link and registering with VoucherCloud, you will raise us funds while saving you money! We will only receive funds via this link so please share with your friends and family too! Get your vouchers and discounts! Find out more! Payroll giving is one of the easiest and tax effective ways to donate to PCA and allows you to help those effected by pancreatic cancer every time you get paid. Employers take the deduction from the pay each month before PAYE tax, giving the donor tax relief. So a donation of £10 to Pancreatic Cancer Action only costs you £8! 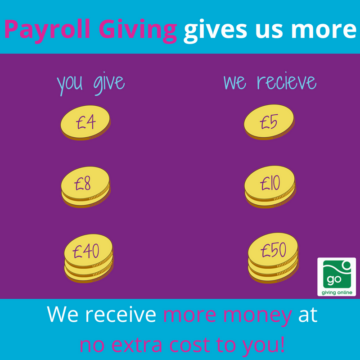 We receive more money at no extra cost to you! You can donate a percentage of your final selling price to Pancreatic Cancer Action. You can decide what percentage you want to give. Recycle for charity is a great way to recycle your old ink cartridges and old mobile phones, raising funds for Pancreatic Cancer Action and protecting the environment at the same time. Click here to receive your free collection box! With Savoo you can support us in the simplest possible way, without spending a penny! By using Savoo’s search engine instead of Google, you can select us as your favourite charity and for every search you make, 1p is donated to Pancreatic Cancer Action. Savoo also offer deals and coupons to users, to save you money as you shop online. Part of the profit from these deals is then donated to PCA. Set yourself a challenge and ask your colleagues, friends and family to guess how much you’ll raise! Set up a Guess2Give page now! Do you own a vehicle that you want to sell or get rid of? Then please think about donating it to us through giveacar! 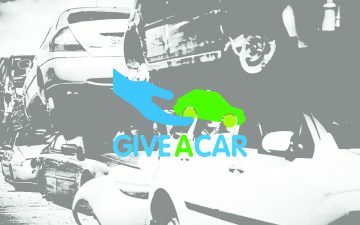 Giveacar raises money for UK charities including Pancreatic Cancer Action by scrapping and selling old cars.